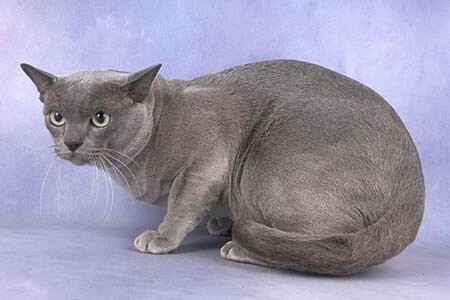 Burmese is known as an elegant short haired cat that is strong and athletic. 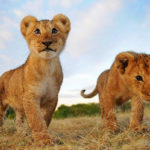 They are also known for their unusual weight because of their disguising body which seems pretty trim but is actually heavy they are also referred as a brick wrapped in silky coat. They have an even coat which is glossy. 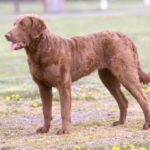 The length of their coat is very short and has satin-like texture. They love people and are a very entertaining breed. 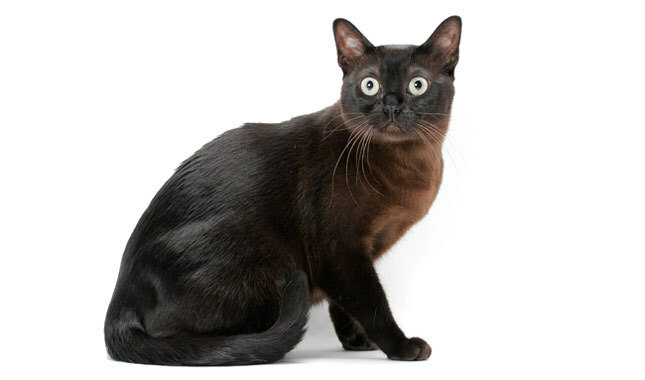 Burmese cats originate from Burma, Thailand and Malaya. They were known in England as chocolate Siamese. They were found over there in late 1800s but since they were not favored so they gradually got extent in Europe and England. 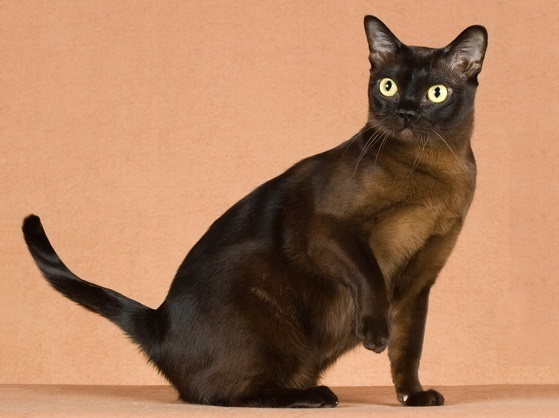 Later Dr. Joseph Thompson started breeding small brown cats with darker chocolate points. 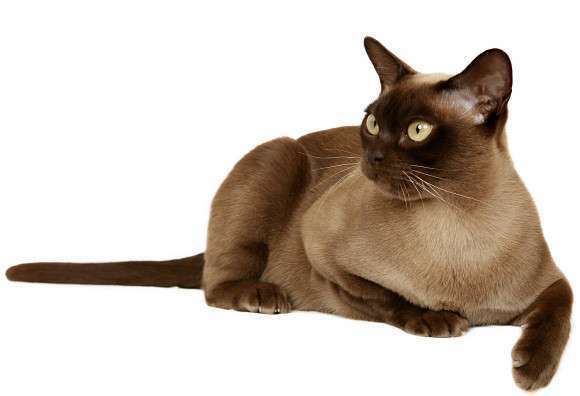 These brown cats with a plane and single colored coat later came to be known as Burmese. This breed of cat is medium sized but they have quite good appetite. They can be very choosy about their food and might be stubborn if not given food of their liking. Burmese are very active and love to play every time so a special care must be taken that their calorie intake is good. A special attention must be given to their likings and disliking. 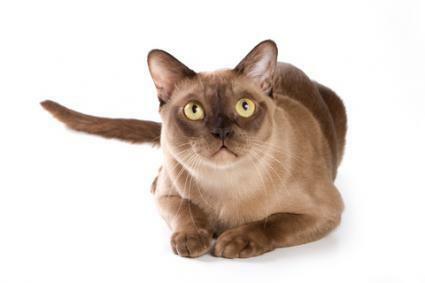 Recommended food consumption for Burmese is around 1 to 1.5 cups per day of quality cat food that is available in the market. Burmese are very adaptable by nature they can easily adjust in any kind of surrounding be it cold or hot. 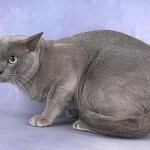 Behavior wise Burmese are very gentle and fun loving. They are very soft and love to play with their owner. They are very social and thrive in company of others. 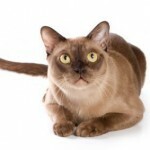 They don’t like staying alone and if no one is there at home then it is advised to get a friend for Burmese. 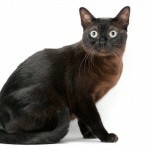 Burmese are very fun loving and active breed of cats. They get along well with anyone they meet and are not very aggressive. They are very soft minded. They are fond of being pampered and like spending those long hours taking a nap on owners lap. They are very vocal and love chatting with someone around them. They just love to cuddle their owner. These breed of cats are very intelligent and can be trained to do practically anything. The cat is dog friendly. She is above average when it comes to intelligence. She is very adaptable and friendly to other cats. She is the best in regards to adaptability. Her affection levels are very high and require constant attention from its owner. She is very apartment friendly. 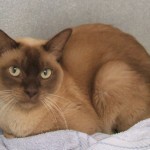 Burmese is stranger friendly In terms of grooming, she requires some attention She is very smart and can be trained very well She loves to play, and is quite playful. As they are very social they like to stay outdoors as well as indoors but only if there is human presence. They are very perfect apartment cats and are also very safe with children. Only one thing should be noticed that regular exercise is must to keep them safe and secure. 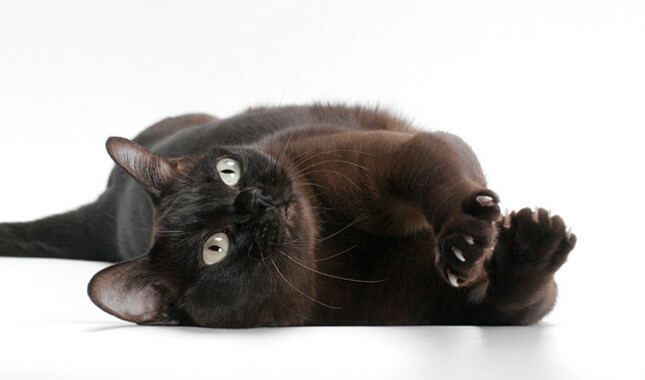 On an average Burmese cat carries kittens in its stomach for four months. At a time they can give birth to 4-6 kittens. In some cases they have also given birth to 8-12 kittens at a time. After birth baby kittens need to stay with their mother for about 12 weeks. 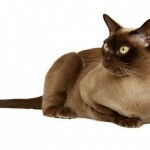 Burmese cats are very gentle by nature they usually don’t cause any harm to anybody. They can easily get along with any other animal. Normally Burmese cat are very good breeders. They are not very difficult to handle during their pregnancy. At a time they can give birth to 6-12 kittens which makes them a very profitable breeding cat. 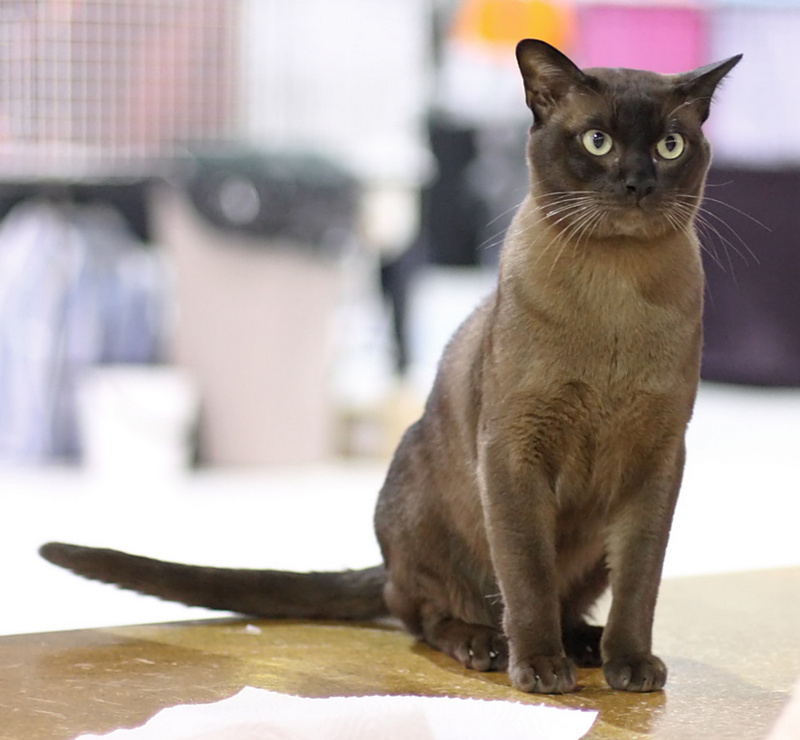 There are two different breeds of Burmese cat around the world. One is American Burmese and the other is British Burmese. Primary difference between them is their head and body size. 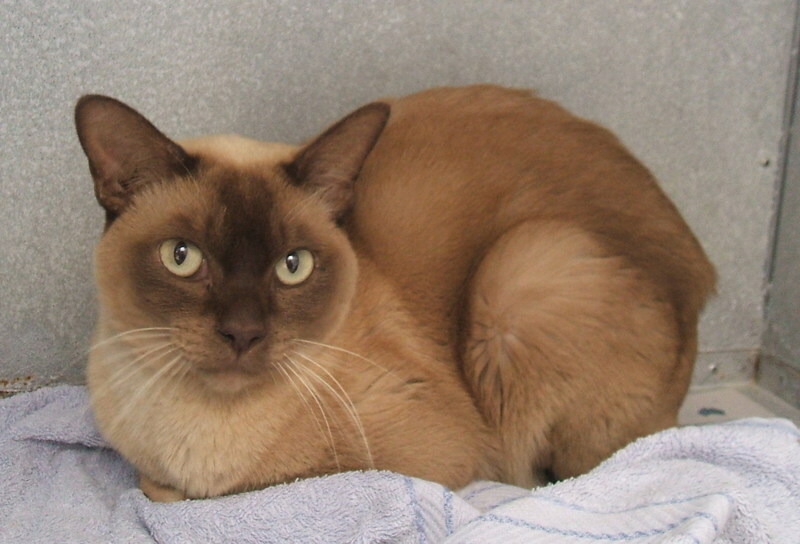 British Burmese traditionally has a wedge shaped head with big sharp ears. Eyes are of medium size and look like almonds. American Burmese has a much wider head, eyes are much wider that the British one. 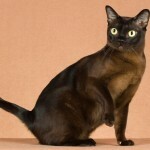 Burmese be it American or British are medium to small build their weight is normally around 9 to 12 pounds and not taller than 1 foot. Burmese feel very heavy for their size. Coat of the cat is very shiny and short. 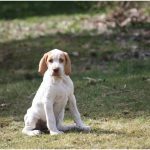 Their color is very even throughout the body and any spots or unevenness if spotted is considered as a serious fault in breeding. Eyes of the cat are very adorable and are usually of golden or greenish tinge. 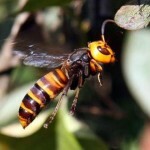 They are small sized with very well distributed weight. They look very even and attractive. 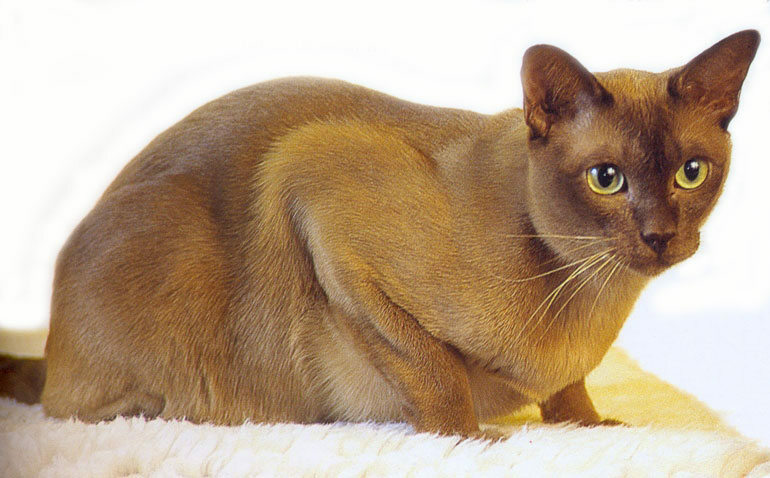 Average life span of Burmese cat is around 16 years. Mainly the British Burmese is more prone to Diabetes. Some of the young kittens also suffer acute teething disorder which is completely recoverable. Hypocalcaemia a genetic disease is also found in these cats. 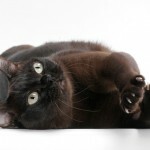 In this disorder the cat can have difficulty in walking and holding their head correctly. Shiny coat of Burmese requires weekly grooming. Though the coat does not shed a lot but weekly grooming is necessary to keep it clean and shiny. It is recommended to use a rubber brush for the purpose of removing broken and loose hairs. Coat can also be kept healthy by using skin oil once in a month. Burmese also requires regular nail trimming and ear cleaning. As they are very social they like to stay outdoors as well as indoors but only if there is human presence. They are very perfect apartment cats and are also very safe with children. Only one thing should be noticed that regular exercise is must to keep them safe and secure. 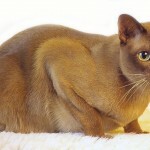 Burmese cat have a short and silky coat. Most of the times they do not encounter any problem related to shedding. To take care of the coat it is advised to use a coat enriching shampoo.